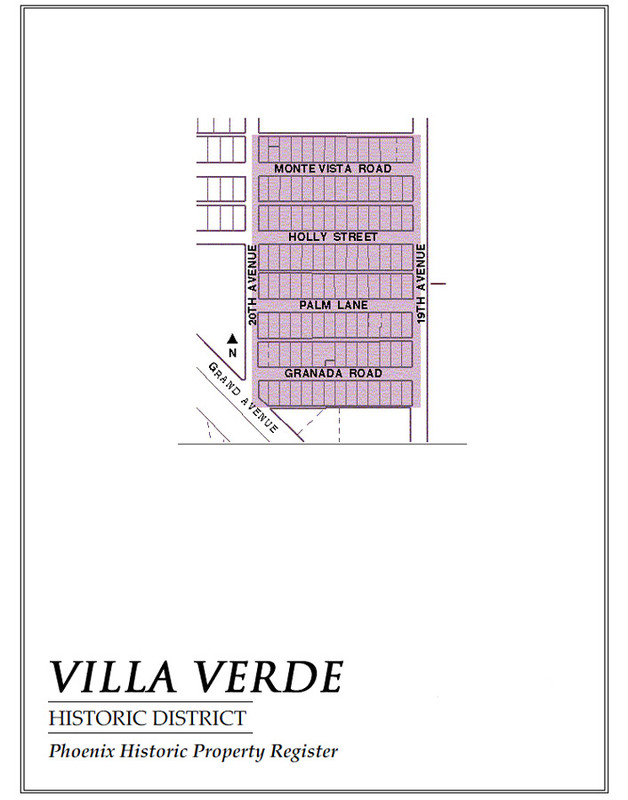 Villa Verde Historic District, 1 block wide and 4 streets tall, is a compact neighborhood of English Cottage homes. Each one of these darling cottages is totally unique, mixing architectural details to wonderful result. They may be built of clinker bricks or stone, river rock or simple wood frame. The roof may be gabled or clipped, the chimney prominent or not so much, there might be a porch but maybe not, perhaps an arched entry…. anything goes in this fun mix of architectural elements! Like most English Cottages, Villa Verde homes are on the small side. Generally 2 bedrooms and 1 bath, they average about 900 square feet. Chances are good you’ll find original hardwood floors and a cozy fireplace inside. The Arizona State Fairgrounds border Villa Verde to the east of 19th Avenue. Since 1905 (when Arizona was still a territory and 19th Avenue was on the outskirts of town), the fair has been an attraction. The homes in Villa Verde grew up on the west side of 19th Avenue later, designed and built one by one between 1928 and 1945 by builder/designer Frank Wallace. There has been talk of moving the fairgrounds to the current “outskirts” of Phoenix, but it’s anybody’s guess if that will ever happen. In the meantime, the Arizona State Fair moves in for 3 weeks each October adding a Ferris wheel to the eastern skyline and tempting Don to come savor a deep-fried Snickers bar. On the west, Grand Avenue cuts north toward the historic districts of old town Glendale and south to the galleries of the burgeoning Grand Avenue Arts District. The freight trains still run along Grand, currently three times a day, obeying the federal safety regulations to toot their horn at every traffic crossing. If you enjoy the hustle and flow of humanity and are looking for a home with a small, sustainable footprint and tons of personality, you will want to check out Villa Verde Historic District. It’s currently one of the most affordable historic districts in Phoenix, and most of these homes still have all their glorious character intact.